The BEST Low Carb Margarita — traditional recipe with a sugar free twist! 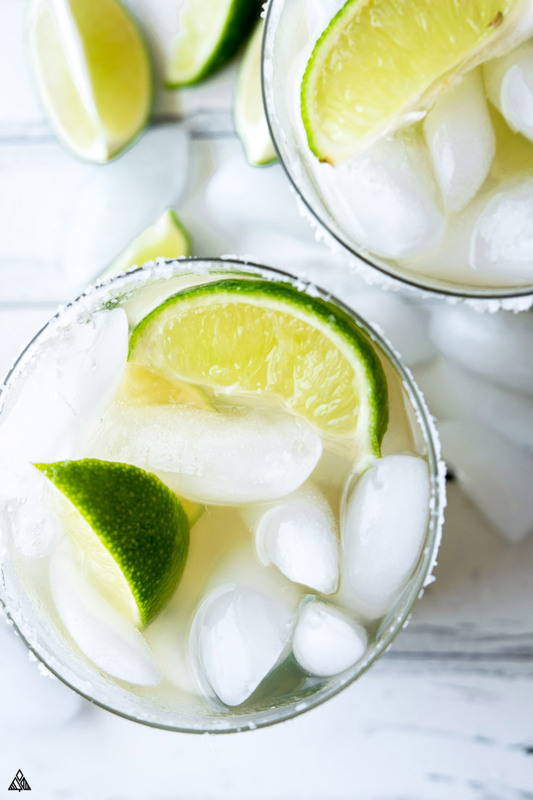 Whether it’s hot, you’re tired, it’s been chaotic, or you just want to chill — sometimes, you just really need a low carb margarita. This low carb margarita has been taste tested and perfected by an entire panel of avid margarita drinks. The panel found this cocktail to be just as refreshing, tasty, sweet, delicious, and smile worthy as its sugar bomb predecessor. In fact, many people preferred the taste of this cocktail to the limeade version! 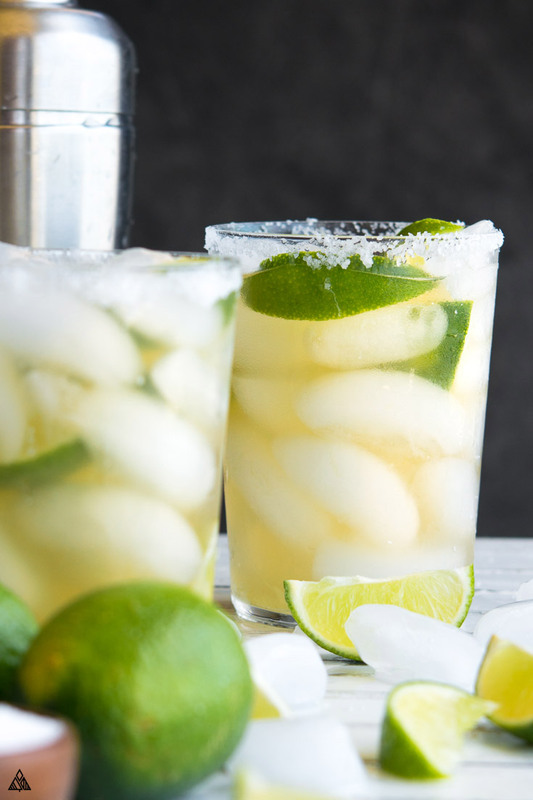 With a few variation ideas and all the tricks you need to be a low carb margarita master, you’ve come to the right place. Now cheers my friends! Let’s get to shakin’ those cocktails! First off, What About tequila carbs? When I first started looking for low carb recipes for cocktails, I had no idea that there were no tequila carbs — in fact, all hard alcohols (such as vodka, gin and whiskey) are low carb! 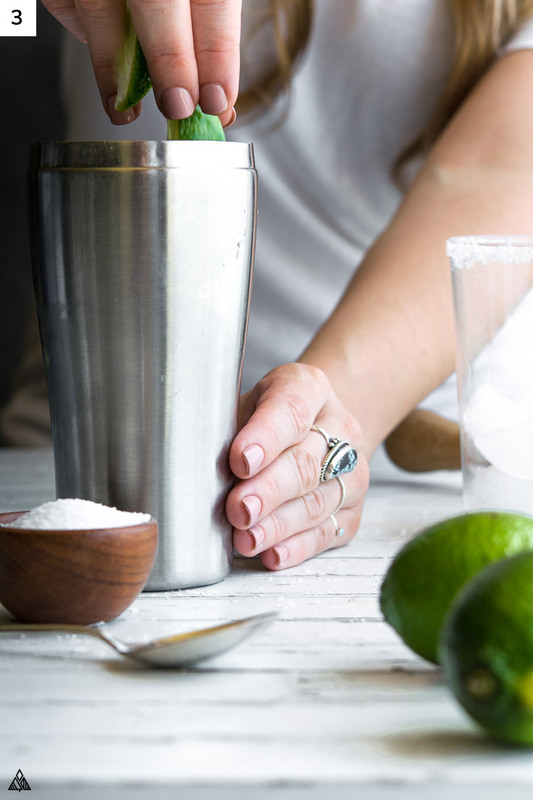 Although this skinny margarita is pretty straightforward and easy to make, there are a few tips I’d love to share so you can get the most out of these low carb drinks! 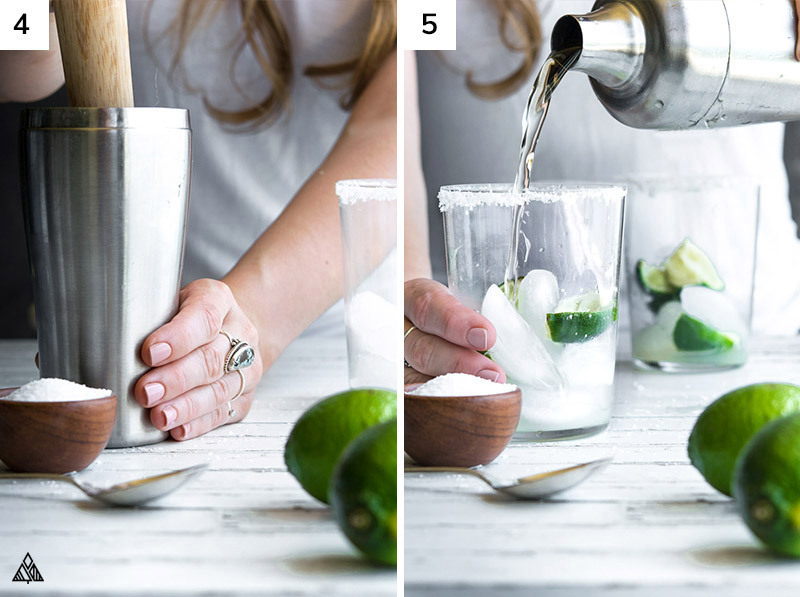 First and foremost: the cocktail shaker. TBH, you don’t necessarily need to go out and purchase this fancy kitchen tool. I’ve made plenty-o-low carb margaritas with a pitcher, muddler and a spoon. I know, you think you can skip this step. But don’t, trust me. 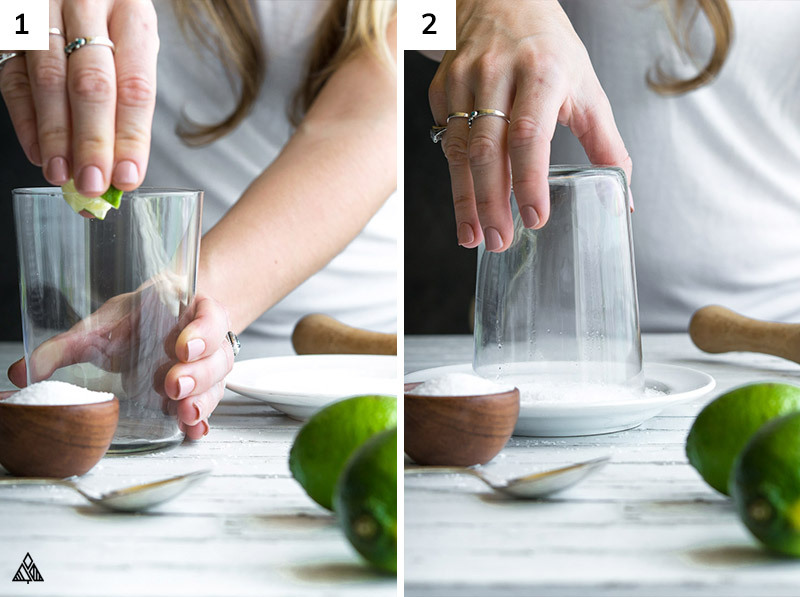 Muddled lime brings such a delicious flavor and texture to your cocktails — it’ll take your low carb margarita from dive bar mystery juice to swanky new hipster joint cocktail with a few twists of the wrist. This is also your chance to get creative with different types of margaritas: If you’re craving a low carb strawberry margarita, toss a berry or two into the mix and muddle with the limes! The ingredients that makes this sugar free margarita mix the tastiest are erythritol and orange extract. Orange extract is a much needed ingredient to keep the carbs down, while achieving that beloved margarita taste! I prefer Simply Organic products, as they don’t have any alcohol or sugar added. Erythritol is a sugar alcohol with a similar mouth feel to table sugar. 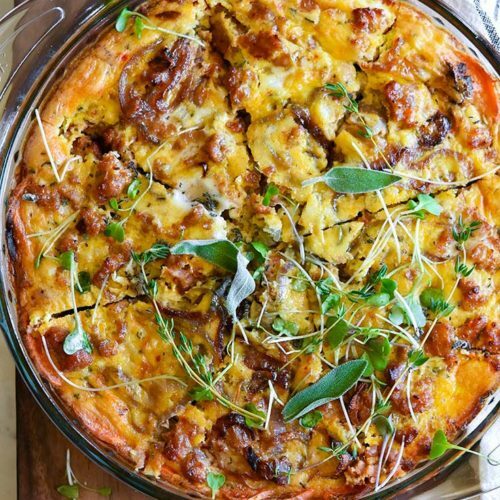 It blends with the other low carb margarita ingredients perfectly! And rounds any low carb cocktails off nicely — try adding it to any low carb tequila drink recipes! 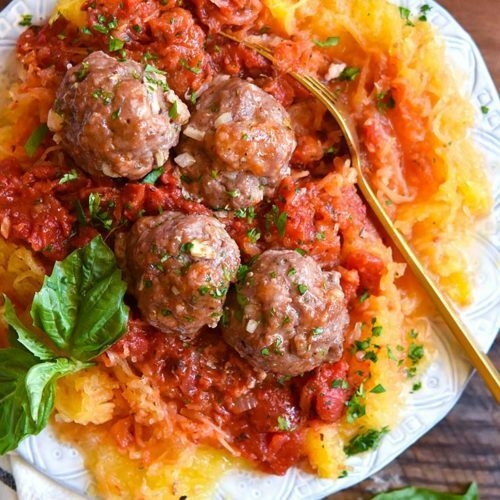 If it isn’t currently on your low carb shopping list, I suggest adding it right now! 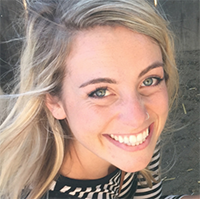 You can adjust the amount of erythritol in your keto margarita drink depending on how sweet you like your cocktails. I prefer ½ teaspoon in my cocktails. I’d recommend starting there, then working your way up. 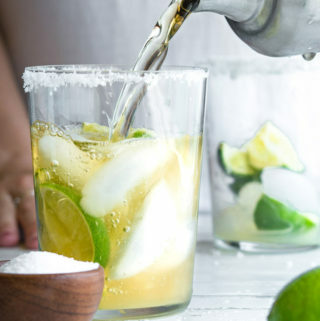 Jose Cuervo low carb margarita mix is another option — I know this is a “light” cocktail but I wasn’t able to find online how many carbs/sugars this ingredient has. If anyone find out let me know! Alright, for those of us who just can’t get enough of these tasty low carb margaritas, let’ talk about how you can order low carb alcoholic drinks at the bar. It’s relatively easy, you just have to know what to watch out for: sugar, sugar drinks, soda (same thing, but just in case) and liquors. 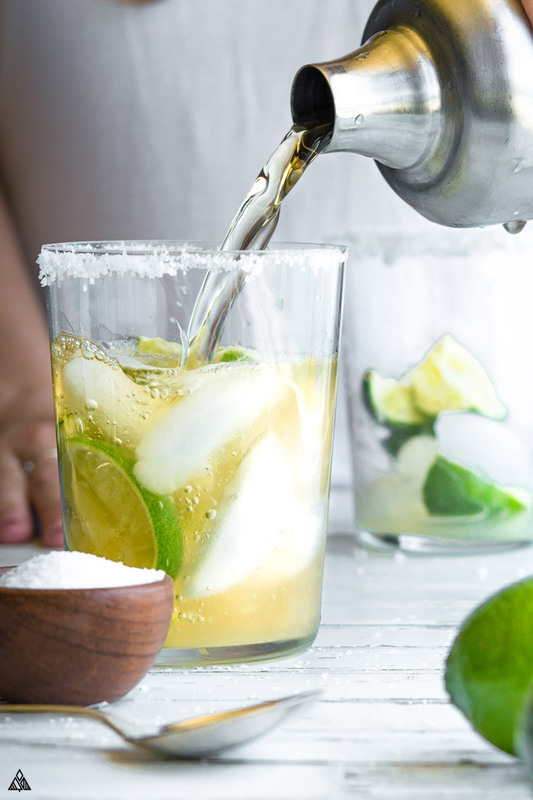 When it comes to margaritas, the traditional cocktail is made with loads of liquor and sugar. So, how to order low carb margarita: Order a tequila, water (I like soda better!) with a few limes. Then, if you’re craving that low carb margarita sweetness, toss a packet of sugar free sweetener in there and give it a twirl! Low carb margarita at restaurants are a delicious way to get something sweet and tasty, but forget about dessert while you’re at it! If you’re looking for more tips on ordering cocktails, check out my low carb alcohol guide! It’s finally time to put down the computer, and get to shaking that cocktail shaker! Hope you enjoy a big old glass of this low carb margarita with some low carb tortilla chips, or low carb taco bell — because low carb or not, no one should be deprived of that match made in heaven! 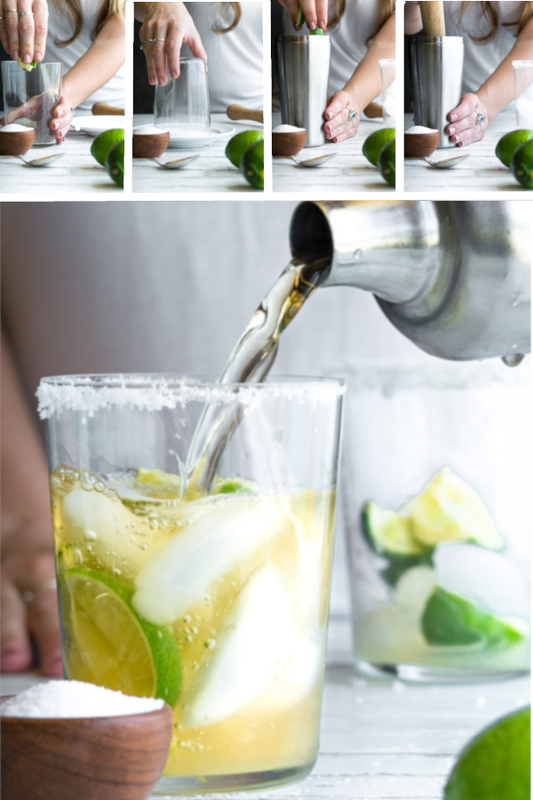 This low carb margarita recipe is the most refreshing sugar free cocktail you'll ever sip on! Made from muddled limes and perfectly sweet — it's vacation in a cup! Add the limes to a cocktail shaker and muddle to release the juices. Add erythritol, tequila, water and orange extract and some ice. Cover with lid and shake! Fill glass with ice, and pour cocktail over ice. 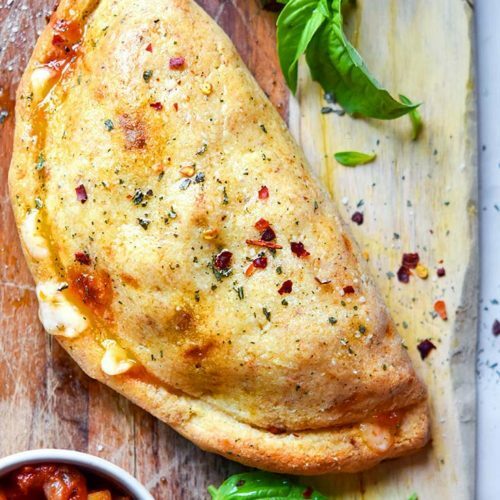 Serve with a lime, and enjoy! Let me tell ya, this is a heck of a good margarita. Honestly, so much better than the skinny margaritas I’ve tried at restaurants. The orange extract really rounds out the citrus flavor and kinda tempers the lime. You don’t get that in those restaurant versions! Hi Laura! 1 lime 🙂 Hope you enjoy!